are you a military wife? Now that's what a real man looks like! 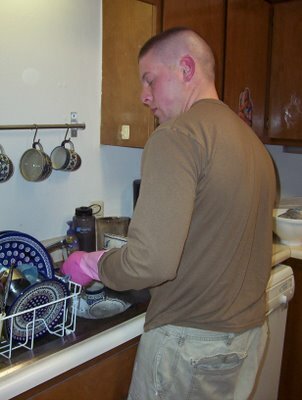 Real men aren't afraid to wear pink or do dishes... U rock man! How sweet! 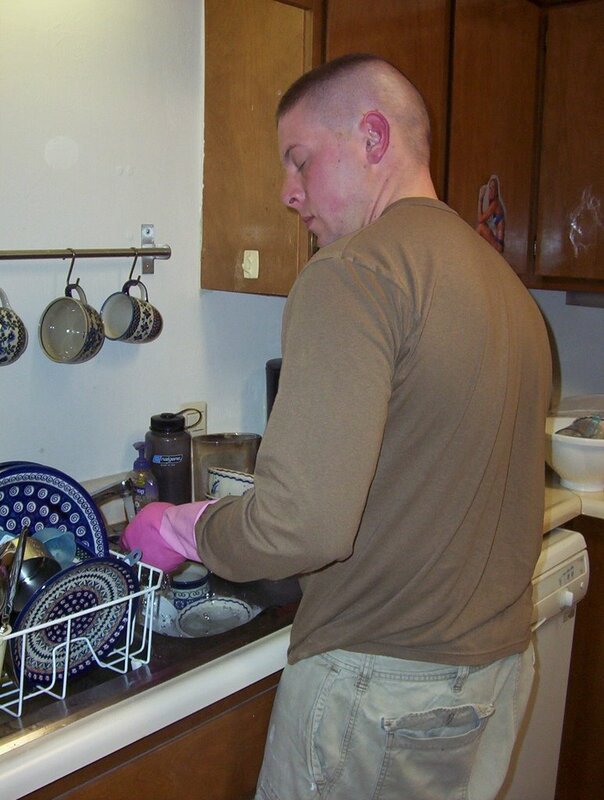 My husband has always been the one to "do the dishes"--we each had a chore when it came to dinnertime. I was the cook! Love the Polish pottery in the dish drainer! It makes me what some dinner size plates, even though I absolutely do not need any more dishes. Wish I could go back with you this spring!